My First version of curtain control Node is ready, installed and tested. Some work is pending, which I'll complete on my weekend. Please share your feedback so that I can improvise. What type of motor are you using? Its a Geared DC Motor with Voltage Rating of 6-12V and 100 RPM. I am using a L239 to control the motor. Looks good. I am curious to see the details... jealous for the speed your curtain is moving. I have been working on a similar project last week. The mechanics and ´looks´ are the most difficult part for me. For now I have used a ´tuned´ cheap & small stepper which makes it slooow but effective The rail and mounting is standard IKEA. The pro-mini has the jModule attached. Works like a charm (/snail)! @AWI Thanks. Why dont you increase the pulley size (larger pulley) that will increase the speed. I found driving stepper motor to be bit more complicated than driving a DC motor. I picked the Geared motor basis the calculation using this calculator. Since without rails pulling the curtains on a metal pipe needed more torque. Thus I chose 100 RPM to be a suitable fit. Will share the Schematics and PCB layout files soon. I have already added the sketch for reference. Since I was testing I did not put the circuit in any housing. But will give some shape soon. Also will be adding 3 buttons for Manual Control. @barduino I tried downloading the code, it works. Anyways I am pasting the code below. For end stops I have not yet decided. I had some Ideas of using Hall effect sensor on both ends and a small piece of magnet in the string to detect ends or Maybe use stop switches. Not sure but will have to try both and see which works the best. I am yet to clean the code I have some debugging serial prints in code which will remove once finalized. // initialize the digital pin as an output for L239D. 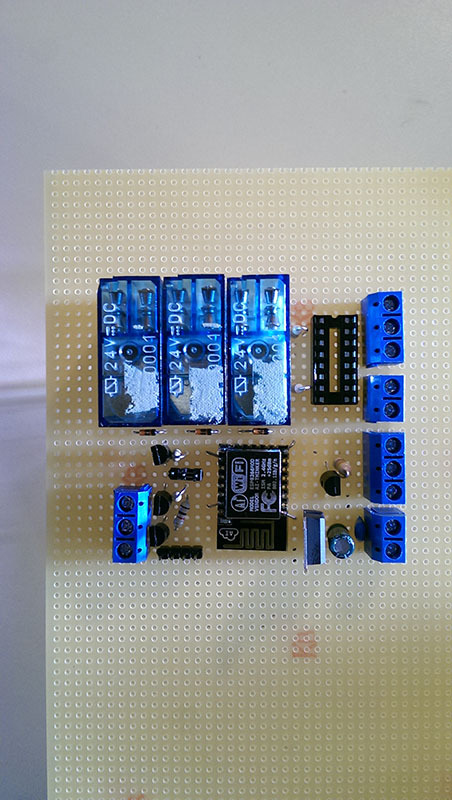 // initialize the digital pin as an output for Stop Switches. But still have to get started, this is some nice reference for my new porject! @franzelare Great. Good Luck with the build. I have published my project with all the files. I'm just curious, maybe its the arduino IDE version or something. @barduino Seems like the IDE. Open any example MySensors Sketch. Delete the contents from sketch and copy paste from my sketch. I guess that should work. 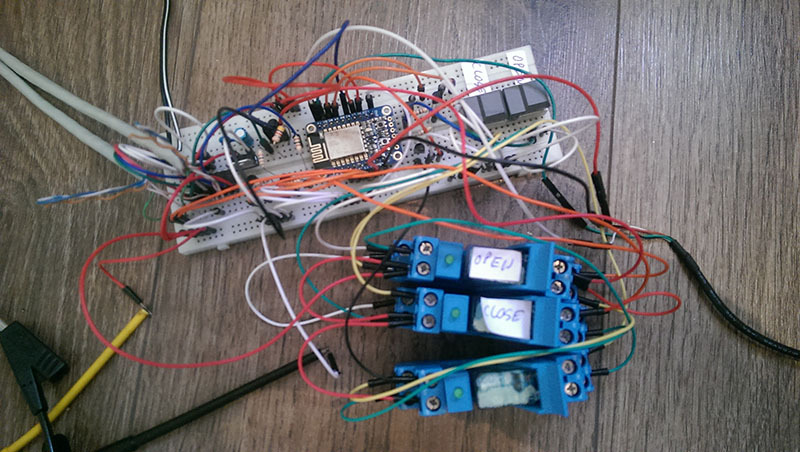 Are you able to compile any other sketch in Arduino? @AWI Are you able to share the sketch you used with the UL2003 driver board? I have tried to combine the MySensors servo sketch with other arduino only sketches utilizing the UL2003, but without luck. Thanks. @patchmaster I used the relay sketch and modified it to my needs. Sorry but I dont have any sketch for ULN2003. @patchmaster This is my current curtain control sketch. I work with the development branch, so the syntax can be a little different. The Accelstepper library gives you all the abilities to slow start/stop with numerous kinds of steppers. 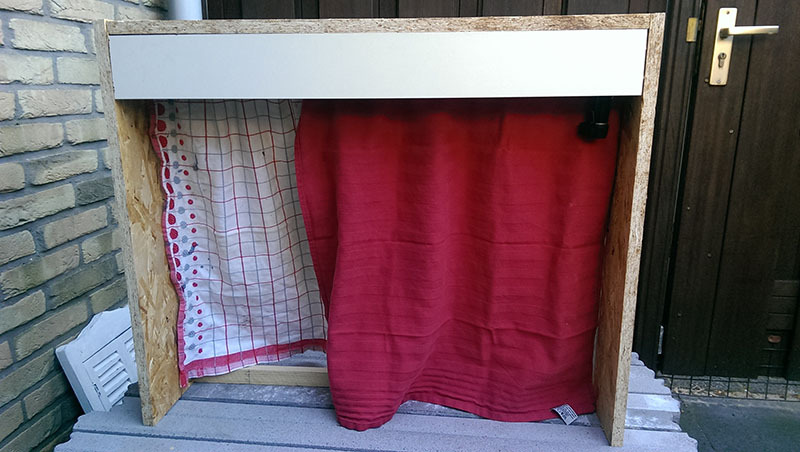 Curtain control with stepper motor. #define SN "Curtain control 13"
long openPosition = 0 ; 										// Position at open, need to be saved in EEPROM? stepper1.setCurrentPosition(0 );		// set new 0 position ?? @AWI Thanks. I have been using the Accelstepper library, but this has already given me several other ideas. I have been searching for something like this for a while, thank you for the code! @Tore-André-Rosander are you using the development branch? The errors seem to indicate that is the case. I now have it up and running. But how do i connect and use this with a controller (like Domoticz)? I use an ESP gateway (from the dev branch) and the curtain node is connected and showing up in domoticz. But how do i make domoticz send commands to the curtain node? All i get when adding the curtain node both as on/off button and blinds in domoticz is "unreconized" in the curtain serial monoitor. @AWI THanks again for your fast replys! This is what i get in serial monitor when i use the "up" "down" buttons for blinds percentage in domoticz. This is my very first MySensor setup so it might be some error with my setup, i will have a deeper look at it later tonight. @Tore-André-Rosander Nothing wrong with you interpretation. I have not written this sketch as a complete S_COVER implementation. Only the V_PERCENTAGE part (not V_UP/V_DOWN). If you define it in Domoticz as "Blinds percentage" (see my previous post) it will work. Sorry for the confusion. @AWI Seems like my problem is with Domoticz itselfe. Maybe its because i have not calibrated it? I dont have any pushbuttons laying around, so im gonna make one with some wires. But i see that there is two pins defined as buttons. Should i use the buttonPin1 as VCC? So it would look something like buttonPin1 -> buttonPin2 -> button -> gnd? @Tore-André-Rosander You can ignore buttonpin2. Just connect your "button" to buttonpin1 and ground. @AWI I'm curious where you got the rails for the curtain. I wasn't been able to find them, but stumbled on this topic. I'm currently working on a similar project, only I got started with 24V DC motors that I got from my work (left overs from a test project) These motors are very strong (way way over rated) and have a big gearbox what unfortunately makes the movement a bit slow. I started off with 1 motor to move 2 curtains at the same time, but will change this to 2 motors for either side since the better half of me likes to control the curtains separately in case she only wants to close 1. 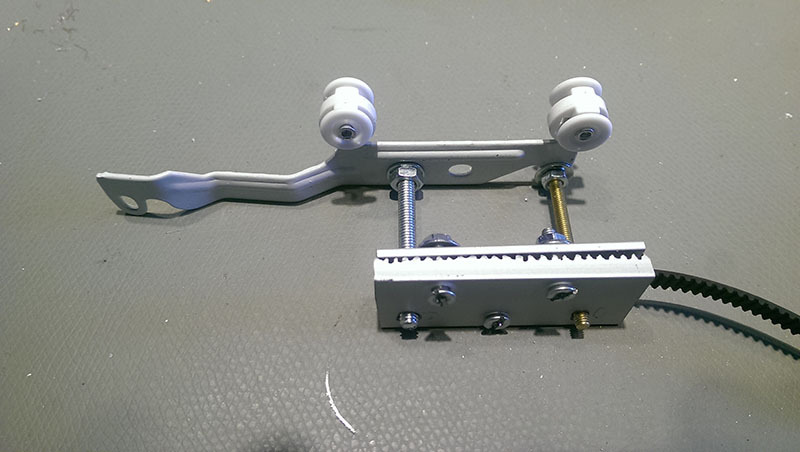 I use a GT2 timing belt that is commently used for 3D printers and pully's are widely available as well as the belts in different lengths (I order them on rolls of 10 meters) and attached the timing belt to a carriage that is normally to pull the curtains with a rod. 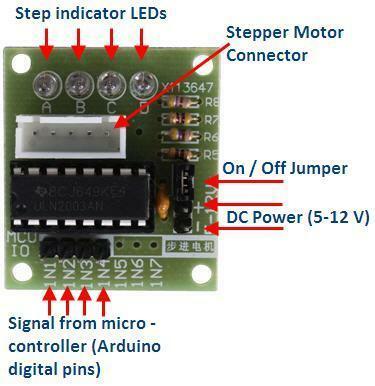 To my project i use stepper motor JK42HS34-0404 and driver L298N. This is a wiring diagram. unsigned long current_position ; // remembers current position, need to be saved in EEPROM? When the program I have uploaded to my mysensors, the engine still turns, one left and one to the right and did not work the button blinds in Domoticz. 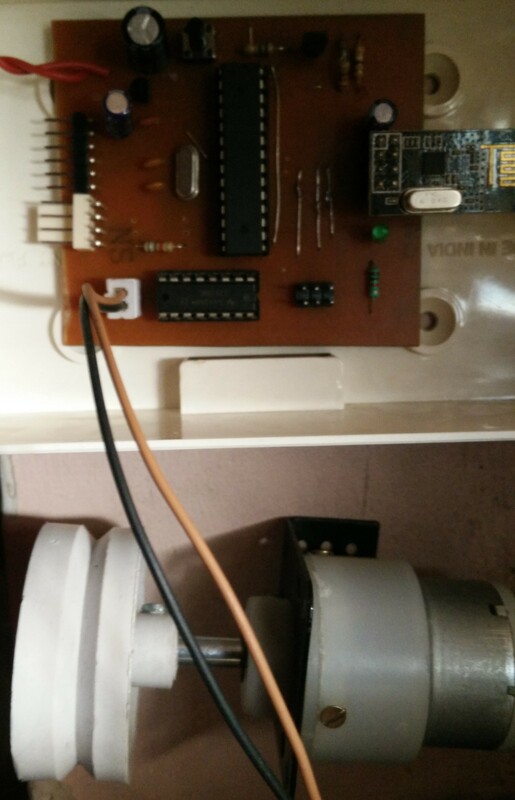 I cant turn off my stepper motor in Domoticz. I write a program on library Stepper not AccelStepper. i use a DC motor so can't help with stepper motors, but can you share an image of how you setup your rails? Now the wiring diagram should be visible. Question #1: I trying to use relay for that On/Off. Could I do it without relay and control On/Off jumper directly from arduino? Does relay is the best solution? //and add the following at the end in the same function. I hope this helps haven't tried it myself. 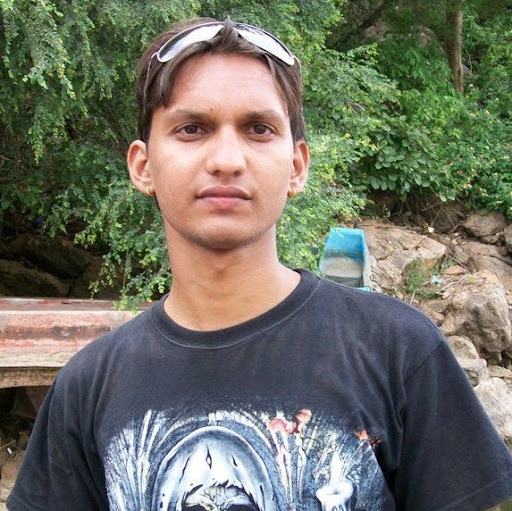 @suresh-mali Thank You Suresh for Your answer! I disconnect relay and delete it lines from the code. It looks like it have to work because it is simple solution, but it doesn't... On driver board ULN2003, when motor is not rotating, A Led is always on. I think if command with disableOutputs would be activated, then the LED should not be on? I hope this works. Also make similar changes in block which closes curtains. Domoticz setup with serial gateway?